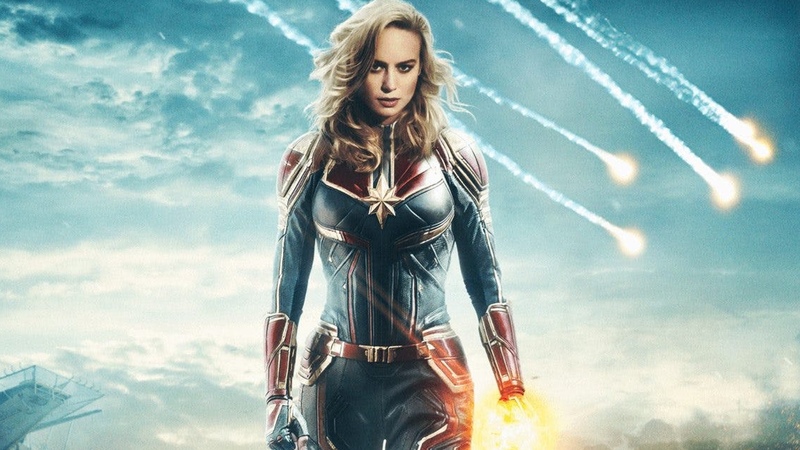 Captain Marvel is Marvel’s final feature film being released prior to the upcoming finale to the opening chapter of the Marvel Cinematic Universe: Avengers Endgame! Marvel first used the post credit scene at the end of their initial Iron Man movie to introduce audiences to our favorite single-eyed spy: Nick Fury. Since then, the post credit scene has become a staple of all Marvel films as a way to tie the movie into the rest of the Marvel cinematic universe and tease their next feature film release. The Captain Marvel movie takes place in 1995. Prior to the events of the first Iron Man movie and Nick Fury’s first meeting with Tony Stark. After the cataclysmic events of Avengers: Infinity War, the original members of the Avengers all survived the snap of Thanos. We know that Dr. Strange possesses (or at least possessed) the time stone during the battle with Thanos in Avengers: Infinity War. Prior to losing their fight with Thanos, Dr. Strange only saw one possible scenario where Thanos could be defeated. I look the same way every time my wife ask me to watch a Hallmark Channel Christmas movie with her. In the Avengers: Infinity War post credit scene people are dissolving due to ‘the snap’. Upon realizing what is happening, Fury immediately went for his signal device for Captain Marvel. He responds to ‘the snap’ as if he had been warned it would be happening at some point and who to contact when it did. Remember in high school when our grandparents thought only heart surgeons and drug dealers carried these? This would be the perfect way for Marvel to tie-in all of their releases, from the initial Iron Man feature in 2008 to the 2019 release of Avengers: Endgame. It would also give more weight to the scene in the first Avengers movie when the team discovered that Nick was using the Tesseract to build weapons. He made the comment about there being other powerful beings in the galaxy that may not be as friendly as Thor and Earth needs to be able to defend itself. Giving Fury a specific purpose for recruiting could also be a cool element to add into the upcoming (and long overdue) Black Widow origin movie down the road. Full Disclosure: My history predicting MCU tie-ins is not perfect. Remember when I thought Marvel was going to work Winter Soldier into Spider-man’s origin? I really thought “Homecoming” activation word was implying he offed Spider-man’s parents on a Hydra mission. Oops. What do you think of my hypothesis for the Captain Marvel post credit scene? Do you think I will redeem myself from my ‘Homecoming’ miss? Do you thinkI am way off base? What do you think we will see at the end of the Captain Marvel credits? Check Out My Geek Box For Awesome Crates! Next PlayTape Road Tape Is The Best Thing To Happen To My Toddler This Winter! I think there is sound logic behind your hypothesis. I hope you are correct. I’m so excited to see this movie! I hope it’s good! Very interesting theory. Your guess is better than mine. Excited to see what happens! You and my husband have the same predictions 🙂 This will be interesting, I can’t wait to see the next movie. This made me so excited for both movies coming up. pretty crazy theory but makes a lot of sense.